These Forgefix Clout Nails have a large head, which distributes the load directly underneath the top of the nail, ensuring that roofing felt stays firm and secure. This reduces the risk of tearing. 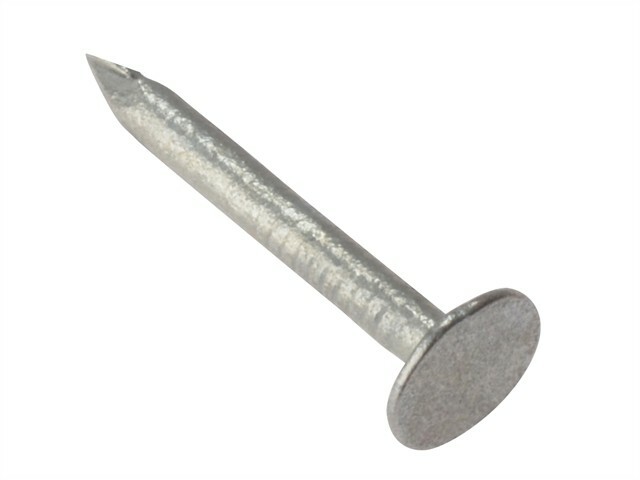 The nails are galvanised for increased resistance to corrosion. Suitable for roofing of all types. Specifically used when roofing felt is being fitted to either shed or similar types of roofs.